With the UK still feeling the after-effects from ‘The Beast from the East’ Siberian weather front these past few days, you could be excused for not giving a huge amount of thought to your summer events and the fact that you need to hire outdoor furniture products. Rest assured, it will come round quickly (just like Christmas!) and so it’s always a good idea to have one eye on events in a few months’ time. The reason why we’d like to suggest you give some thought to your outside furniture hire requirements is because your competitors probably already are! 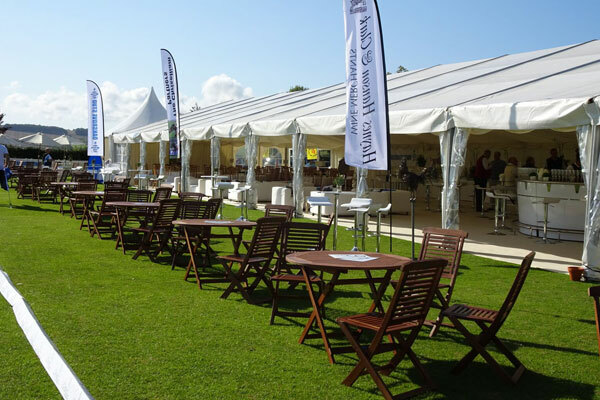 And whilst Event Hire UK offers one of the largest stocks of outdoor furniture rental products in the country, our stocks are not endless, and so we’d encourage you to place your order early to avoid disappointment. Yes, whilst there is still snow on the ground, it’s hard to think about what patio chairs and tables you need. And difficult to consider how many parasols, hardwood tables and chairs, gazebos, BBQs and other pieces of outdoor equipment hire you’ll need. However, always get in there early to secure what you need, especially if you need these in large quantities. You might be catering for a wedding, or maybe you’re a festival organiser needing to hire picnic benches, a carnival or fete organiser looking to hire gas outdoor catering equipment and so on – the list is endless. So, yes, even though those long, warm, summer days and evenings might seem a lifetime away still, contact Event Hire UK to discuss your requirements. From our nationwide network of sales and distribution centres in London, Birmingham, Manchester and Bradford, we’re able to service most requests in most locations and our expert sales team look forward to hearing from you soon.